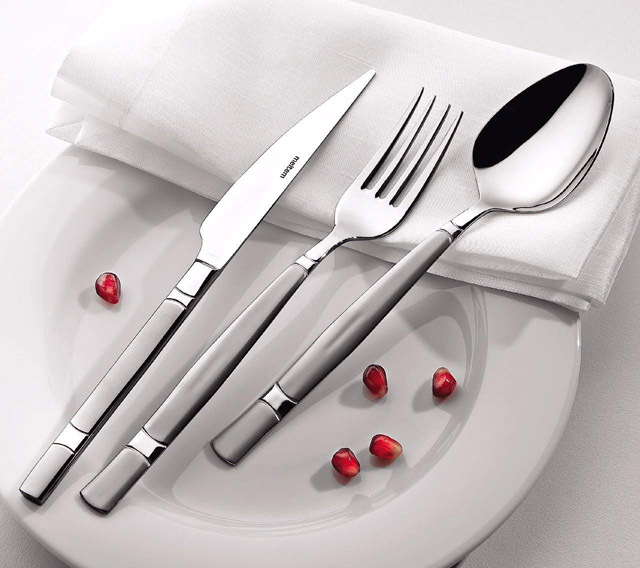 This cutlery set from Olinda called Moonlight really has a striking design. The handles two tones and the knife profile make for a strong design sense in this flatware. It is made in Europe and of 18/10 stainless steel with the designs engraved on them. This means no rusted or loss of the coloring. This set is 20 pieces which consists of 4 table knives, 4 table spoons, 4 tea spoons, 4 table forks, and 4 salad/dessert forks.